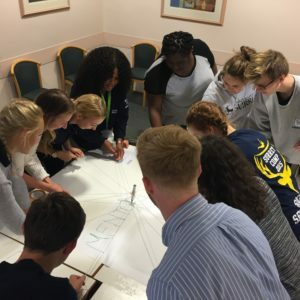 Student Life Mentoring: Team Work Works! Now that the semester is underway, our 61 Student Life Mentors are proactively visiting first year students living in the University residences each week, helping them settle in, make friends, and to act as an approachable and accessible point of contact throughout the year. Answering questions and providing advice and information about all aspects of life at Surrey, Mentors build supportive peer relationships with mentees throughout the year, so students feel more able to turn to their mentor when they need support. We have a team of 11 Student Life Mentor team leaders who meet with the Student Life staff team each week to receive information to disseminate to their teams and onto students, as well as providing them with a safe place to get advice and share experiences with their peers. 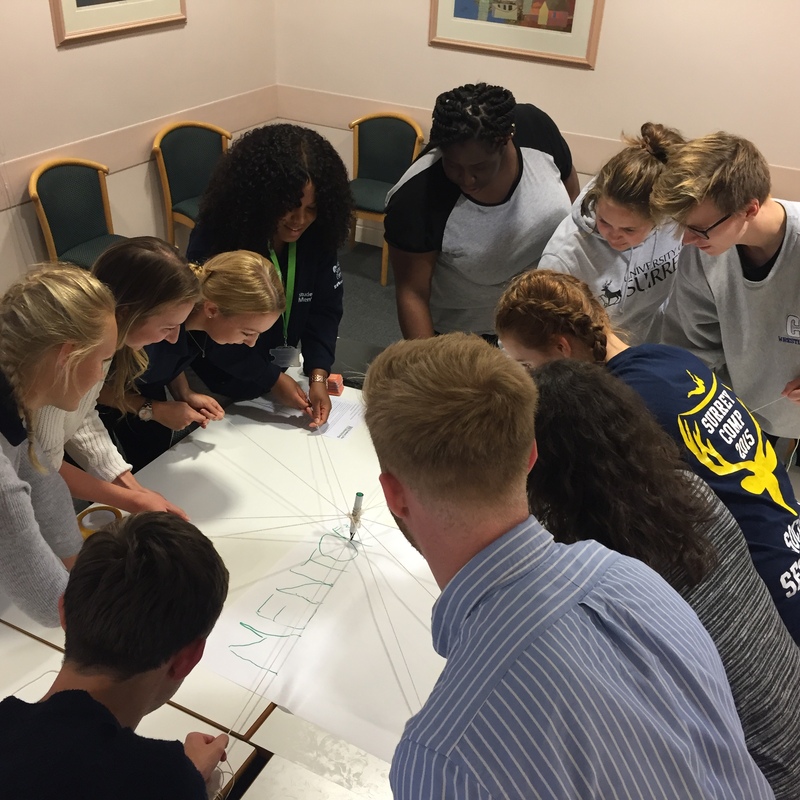 This week we started the meeting with a group activity – they worked extremely well together – photo below!